Peter Ddangelo Bought a Townhouse home in 2019 for approximately $200K in Fox Park, Saint Louis, MO. 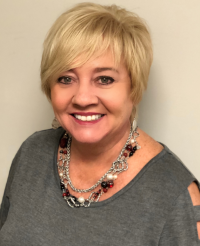 Hagerlisa Sold a Single Family home in 2019 in Fenton, MO. Adam Fogal Bought a Single Family home in 2018 for approximately $400K in Saint Charles, MO. Maggie Hallam Bought a Single Family home in 2018 for approximately $175K in Southwest Garden, Saint Louis, MO. Fjjsc Sold a Single Family home in 2018 for approximately $200K in Ballwin, MO. Zuser20180309131224561 Bought a Single Family home in 2018 for approximately $175K in O Fallon, MO. “Kim Anderson knew the market in my area. She knew what to start my price at. My house was listed as coming soon for two weeks. On the first day of open house, I got a contract on the house that evening. It sold in one day. Kim is very knowledgeable of the real estate market and she puts in the man hours needed to complete the sale and make the seller happy. “My now fiancé & I worked with Kim for over 3 years trying to find our first home! We had many high & low moments due to the market and no matter what Kim was there helping us get through it all. Even after that length of time her hard work & dedication did not skip a beat. We knew what we wanted in a home and were willing to wait as long as it took to come on the market. Thankfully this year was that year. Thanks to Kim’s amazing ability to understand how time sensitive the home market is now, we were able to see our now home the same day it was placed on the market. This ultimately was the biggest factor in getting our contract accepted! Dublbee Bought a Single Family home in 2018 for approximately $200K in North Hampton, Saint Louis, MO. Tjrippel Sold a home in 2018. Roni273 Bought and sold a Single Family home in 2018 for approximately $250K in High Ridge, MO. Dekoeller Bought and sold a Single Family home in 2018 for approximately $325K in High Ridge, MO. “I have been working with Kim for over an year now trying to find a home. This market has been rough and getting my hands on a home was no easy task. Kim stuck through it from late night text and calls, putting offers on multiple home and not getting them. To making sure I was always getting a fair price. She has great connections with financing, inspectors and repair men. I would recommend her to anyone that is in search of a new home!